Office Space - Queensferry, Flintshire. This modern building is located on one of the most prestigious industrial locations in the North West, a shirt drive from Chester and with great access to the M56. 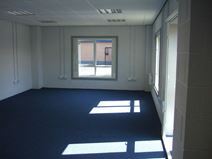 Whether you require flexible office space, studio or workshop space this centre has you covered.